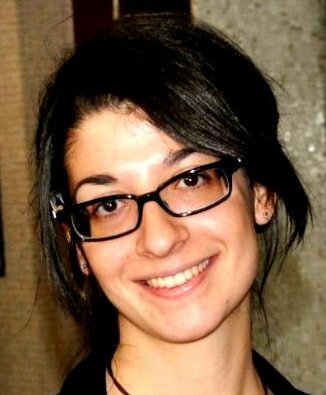 I graduated in 2012 in Biomedical Engineering at Politecnico di Torino with a master thesis in droplet based microfluidics. In May 2013 I started an internship at CNI@NEST about the characterization of graphene on different substrates. I grew graphene on SiC using a CVD system and analyzed the samples with AFM, Raman spectroscopy and SEM. In November 2014 I started a PhD in Biophysical Sciences at Scuola Normale Superiore. 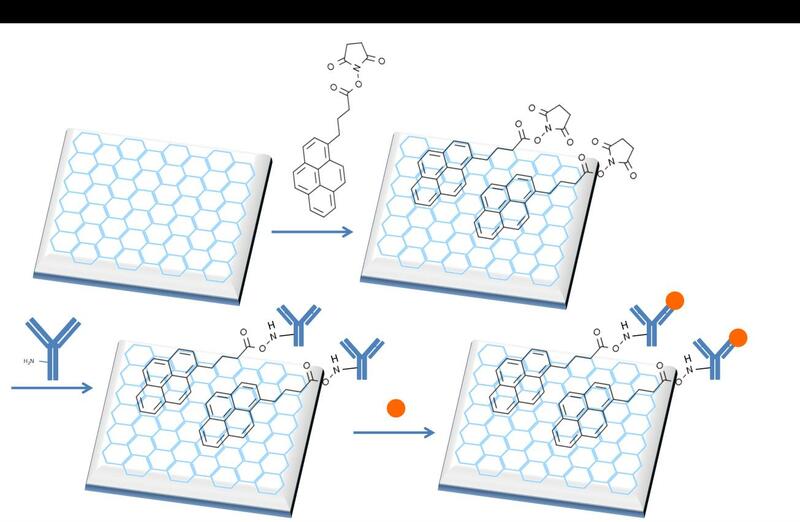 The aim of my project is to devise and implement novel graphene-based devices that will be able to detect cancer biomarkers from biological fluids (blood, urine, saliva), including exosomes, by using different readout strategies. I started with an optical readout approach to subsequently move towards an electrical label-free detection. The main goal is the development of a device with high specificity and sensitivity. I am currently working on the non-covalent functionalization of the graphene surface grown on SiC in order to maintain unaltered graphene peculiar electronic properties and its low a-specific interaction with biological matter. 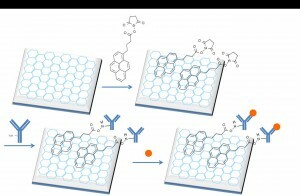 The functionalized surface can be reacted with specific recognizing biomolecules, such as antibodies and aptamers, able to bind fluorescent biomarkers, visible optically.